• There are 120 rooms and suites. • Lounge Circles and Chatillon restaurants and the Paul’s bar. • A terrace, a Golf course (within 3km), hiking, cycling, a mini golf, a sauna, a fitness center, a solarium, a spa, a wellness center, a massage, a hot tub, a hamman, an indoor pool, a bicycle rental, and a games room. 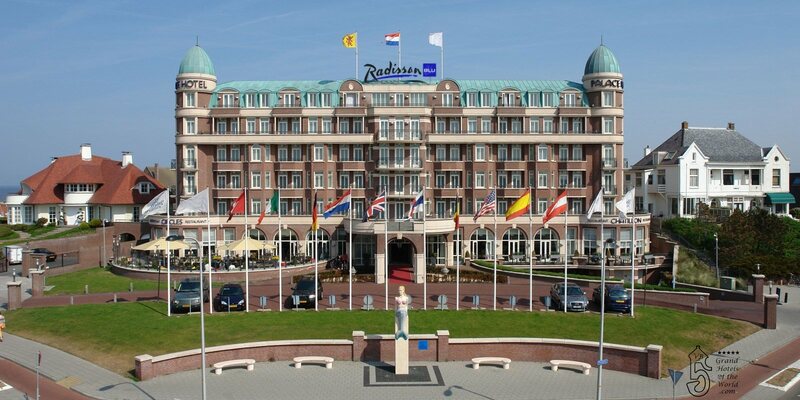 • Palace Hotel is set along the Dutch coast in Noordwijk aan Zee. • 2001: Architect Van der Mey is appointed to design this symbolic structure.